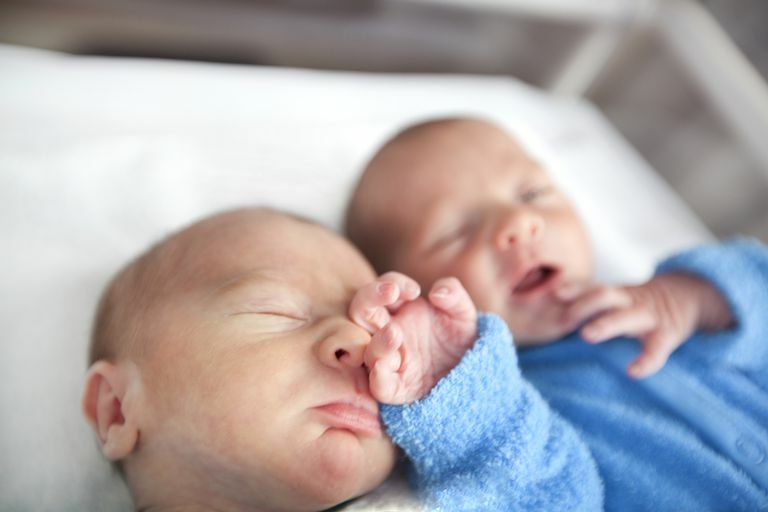 If your twins or multiples are born prematurely, they may require hospitalization in a NICU (Neonatal Intensive Care Unit) while their immature systems catch up. It can be a frightening and frustrating experience for parents on many levels. Not only are you worried about your precious babies, but you may feel utterly helpless. Doctors, nurses, and medical staff are in charge of your babies, and you have little control over the situation. You may even have to get permission to touch your own children. Even though it can be a challenge to form a bond with your babies under these circumstances, it is important to do all that you can to participate in their care. Not only does it benefit the babies, but it will provide you with a sense of control over the situation, a feeling that you are doing something to help. Your doctors should encourage you in this effort, as research supports the importance of parental nurturing of preemies. Put up pictures of loved ones in the babies’ incubators. This is a great way for siblings or grandparents to feel closer to the babies. Personalize their crib or bed with stuffed animals or other comfort items. Take lots of pictures of each of the babies. (Although you think you won't want to look back on this difficult time, you will appreciate the pictures in the future, when you see how far they've come. Make a recording of your voice talking, singing or reading to the babies. Get to know your babies as individuals. Does one startle at loud noises? Does the other prefer a lighter touch when being held? Depending on the NICU's policies, you may be able to contribute to caring for the babies in some ways. Discuss your options with the staff. Many will allow parents of non-critical babies to feed them, change their diapers, or assist with other procedures like changing dressings. Even if your babies are not well enough to be handled, you can help out in other ways, such as taking home their laundry to wash.
One of the most important ways that mothers can contribute to their babies’ progress is by pumping breast milk for them. Many NICU’s have pumping facilities, or you can rent or buy a pump for use at home or at work. Any amount of breast milk is beneficial. Even if your babies cannot receive breast milk at first, you can freeze the pumped milk for later use. The milk produced by mom has special properties that benefit preemie babies in many ways, helping to prevent infection and promote growth. Finally, be aware of the benefits of co-bedding multiples and talk to the hospital staff about their policies on this issue. After being together in the womb, the babies may find comfort and strength from being in close proximity to their co-twin after birth. Most hospitals require that multiples be separated in order to reduce the risks of infection and mix-up, but they may be willing to consider other options, such as positioning the incubators nearby or waiting until the babies are older and healthier.